Room For Tea is the latest NYC-based pop-up that’s enticing those looking for Instagrammable content. The uniquely artistic facility will host installations created solely by female artists and will feature four main rooms. As the name of the pop-up suggests, each room was inspired by tea. 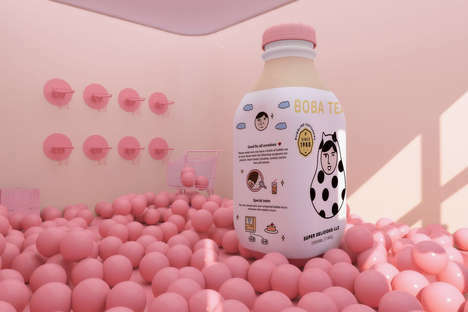 Titled ‘Labyrinth of Tea Origin,’ ‘Summer BOBA Court,’ ‘Milk Tea Metropolis’ and ‘Matcha under Cherry Blossom’ each room will present the guest with something immersive, interactive or visually pleasing. Equal parts conceptual and artistic, this unique space was developed by the same team that brought last year’s popular Boba Room to the city. The experience will be open to the public from August 28th to September 22nd.